Air Explorer is always adding new cloud file servers as a MagentaCloud to be the most complete software to manage cloud servers. 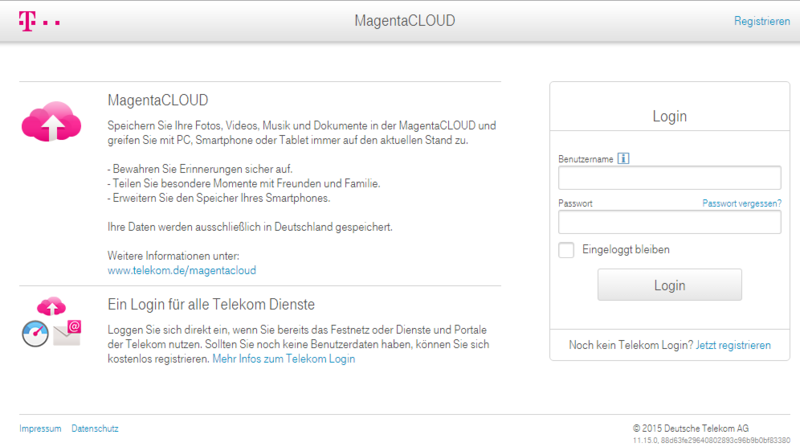 MagentaCLOUD is a German cloud server that gives you 10 GB of free and secure disk space for your files. You can add it to Air Explorer easily. First sign up in MagentaCLOUD and create your own account. 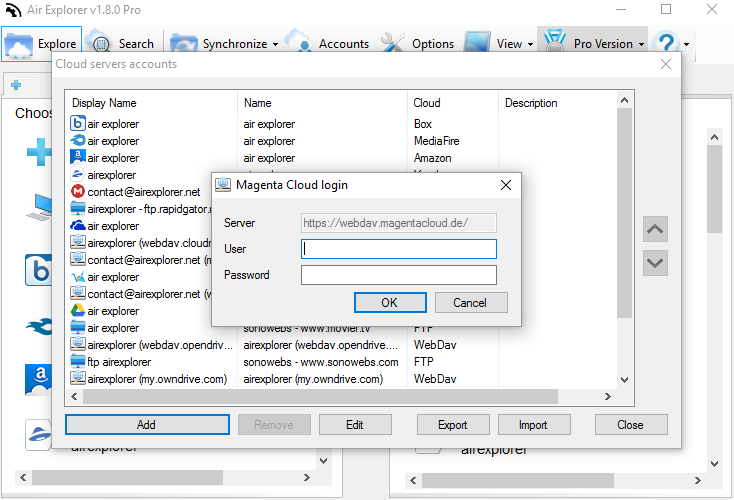 Air Explorer has pre-configurated the webDav protocol to use MagentaCLOUD, then is very easy to add your account. 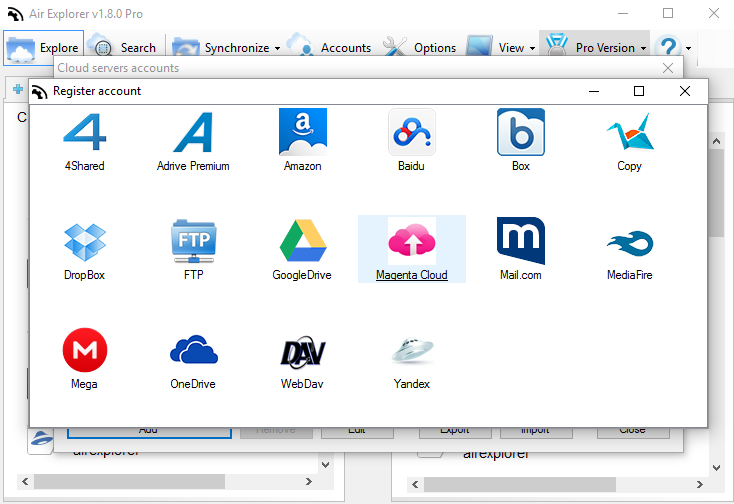 You only have to add your user and password and then you can use your MagentaCLOUD account in Air Explorer. Be aware that for Magenta you need to enter a different password for accessing with Air Explorer. You need to configure a specific password to configure your account in the program. -Added Telekom AG Megenta Cloud support. -File properties window for cloud files where many file details are shown (file type, owner, video and image details,etc) specially for some clouds like OneDrive, Google Drive and Amazon CloudDrive. -Folder properties window for cloud folder, now it displays some information including the total size and number of items of the folder (and subfolers). -Added search support for WebDAV, FTP, Yandex, Mail.com, Copy and other services. -Modified Amazon search function, now the results are more reliable although it search a bit slower. -Option in the synchronization window to show only the pending files. -Fixed, mkv files uploaded to Google Drive were not recognized as video files in some computers. -Fixed upload files with the character “+” in the name to Baidu. -Removed maximum value for ftp port setting. -Added Croatian Language (Thanks to Kresimir). -Updated Japanese Language (Thanks to Tilt). -Updated Korean Language (Thanks to JaeHyung).